The authors published in our Smart Rhino books are an eclectic, prolific bunch, and they participate in many writer and other events throughout the year. We like to highlight their contributions, and have dedicated this page to their efforts. 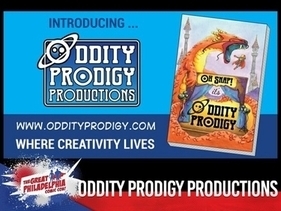 Look for us at conferences, book signings, readings, workshops, library events, and much more. We hope you have a chance to attend some of the events. You won't be disappointed! Moderated by Smart Rhino's Shannon Connor Winward, this workshop focuses on how to give and receive feedback. Participants will have an opportunity to receive thoughtful critiques of their own poems, as well offer constructive feedback on the works of others. Newark Free Library, 750 Library Ave., Newark, DE 19711, 2:00-4:00 p.m. 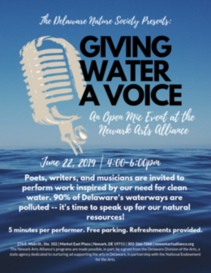 This is an open mic event to be held at the Newark Arts Alliance, inviting poets, writers, and musicians to perform work inspired by our need for clean water. The event has been orchestrated by Maria Masington and Dennis Lawson (both writers for Smart Rhino) and the Delaware Nature Society. 276 E. Main St., Ste. 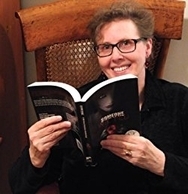 102, Newark, DE 19711, 4:00-6:00 p.m.
Joanne M. Reinbold, co-editor of the Someone Wicked and Plague of Shadows anthologies, will present a workshop on writing haiku. Sponsored by the Delaware Writers Studio, the workshop will be held 1:30-3:30 at the Kirkwood Library, 600 Kirkwood Highway, Wilmington, DE 19808. 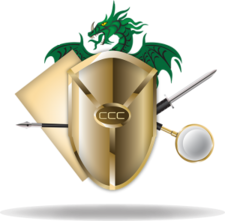 Editor Weldon Burge will represent Smart Rhino Publications at the annual Creatures, Crimes, & Creativity conference (C3), and will likely participate in a number of panel discussions. The conference is held at the Sheraton Columbia Town Center, 10207 Wincopin Cir, Columbia, MD 21044. Authors from the Mystery Writers of America (New York Chapter) will present a panel discussion on the topic of crime novels. The panel will be moderated by Jane Kelly, author of the Meg Daniels novels. Jeff Markowitz, who authored a story in A Plague of Shadows, will be one of the panelists. We'll add the names of other panelists as they become available. This program is sponsored by The Written Remains Writers Guild and Hockessin Library, 1023 Valley Rd, Hockessin, DE 19707, 1:30-3:30. Smart Rhino editor Weldon Burge will be presenting a workshop on writing for anthologies. Sponsored by the Delaware Writers Studio, the workshop will be held 1:30-3:30 at the Kirkwood Library, 600 Kirkwood Highway, Wilmington, DE 19808. 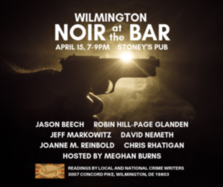 Smart Rhino writers Joanne M. Reinbold and Jeff Markowitz will be reading at Noir at the Bar at Stoney's British Pub, 3007 Concord Pike, Wilmington, DE, 19803, 7:00-9:00 p.m.
Smart Rhino Publications will be a vendor at the Cecil Con comic conference at Cecil College, North East Campus, One Seahawk Drive, North East, MD, 21901, 10:00 a.m. to 6 p.m.
Oddity Prodigy Productions, which includes Smart Rhino writers J. Patrick Conlon and Jacob Jones-Goldstein, will be a vendor at the Greater Philadelphia Comic Con at the Greater Philadelphia Expo Center, 100 Station Avenue, Oaks, PA 19460, 1:00-5:00 p.m. This is a launch party for the Beach Pulp anthology, published by Cat & Mouse Press. Smart Rhino editor Weldon Burge's story, "A Day at the Beach With the GramthrottleMax Family," is included in the book. Scheduled for 4:30-7:00 at the Newark Arts Aliance, 276 E. Main St., Suite 102, Newark, DE 19711. Smart Rhino Publications will be a vendor at the Galactic Con comic conference in Middletown, DE, on March 30, 11:00 a.m. to 6 p.m.
Smart Rhino Publications will have a vendor table at the Ocean City Comic Con in Ocean City, MD, on December 8. This is a huge conference!